Rice DDGS is an excellent protein source available at competitive price than traditional protein sources.Toxin free.It is a revolutionary product which is hygienic and more competitive than the traditional protein sources for chicken feed /cattle feed / animal feed and even Fish feed. Drying of the DWGS (Distillers Wet Grains with Solubles) using a Dryer is a continuous process with the help of Ring dryer or Rotary Steam Tube Bundle Dryer. The concentrated thin slops called as Syrup from the evaporation section is mixed with Wet cake from the decantation section and sold in wet form as cattle feed (DWGS) or the entire mixture can be dried in a DWGS Dryer and then sold in dry form as Animal feed (DDGS). The process of extracting ethanol in an ethanol plant only uses the starch from rice and other grains. The nutrients left (also called the by-products) such as the proteins, fiber and oil are used to create feed for poultry animals. We offer Rice DDGS that helps enrich the egg yolk and the color of the skin i.e., xanthophylls. Since Rice DDGS contains yeast enzyme (probiotic factor), it helps in maintaining poultry production, and reducing the feed cost. The Dried Grains with Solubles (DDGS) contain about 90% w/w Solids & a maximum of 10% w/w moisture and has a longer shelf life of several months. 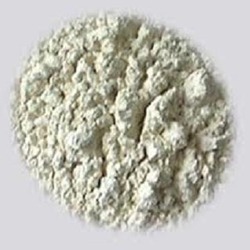 We are supplying Rice protein meal that is bright and yellow in color. It is being used actively as poultry feed because it contains feed grade nutrients, amino acids ,vitamins and protein. It can help poultry to increase their anti-virus activity, development activity and food calling activity. Our rice protein meal is successfully satisfying poultry and aquatic livestock’s protein requirement. It also can increase fodder’s availability and energy, save protein and lower the cost, and promote poultry’s development. 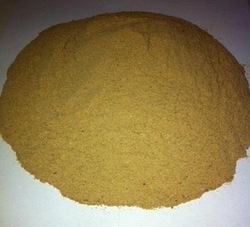 Rice protein meal can be used to feed cows, pigs, chicken, aquatic and other animals. It has became the necessary of feed industry. • Moisture : 12% max. • Fibre : 6% max.